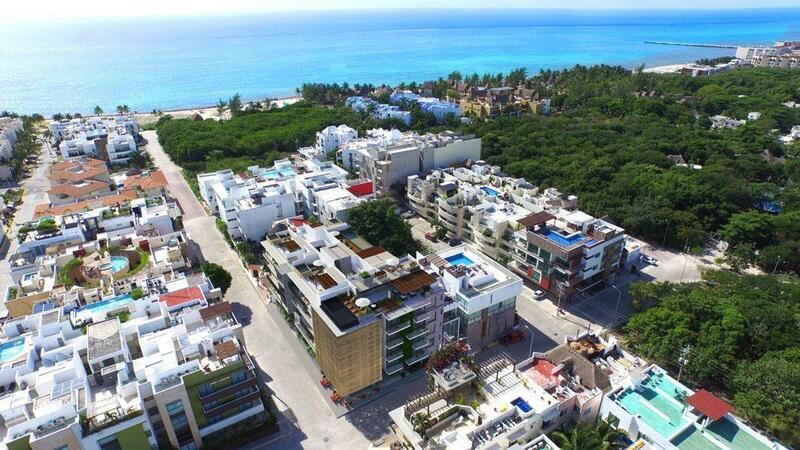 11 apartments with a unique style between shabby, minimalist and tropical, provoking an eco-chic environment that characterizes Tulum. Relaxed and natural design, fusion of materials and colors typical of the region, such as hard woods that provide warmth, the chukum that provides great naturalness and a particular color that adapts harmoniously with the jungle of Tulum. Unique concept of eco-chic condominiums designed for the long-term or holiday rental market. All units are delivered completely furnished and equipped.  Solar panels in common areas.  Beach club in hotel zone.